Resigned to my fate, I checked the tracking number and found out the unassembled grill was scheduled to be delivered on Wednesday this week. 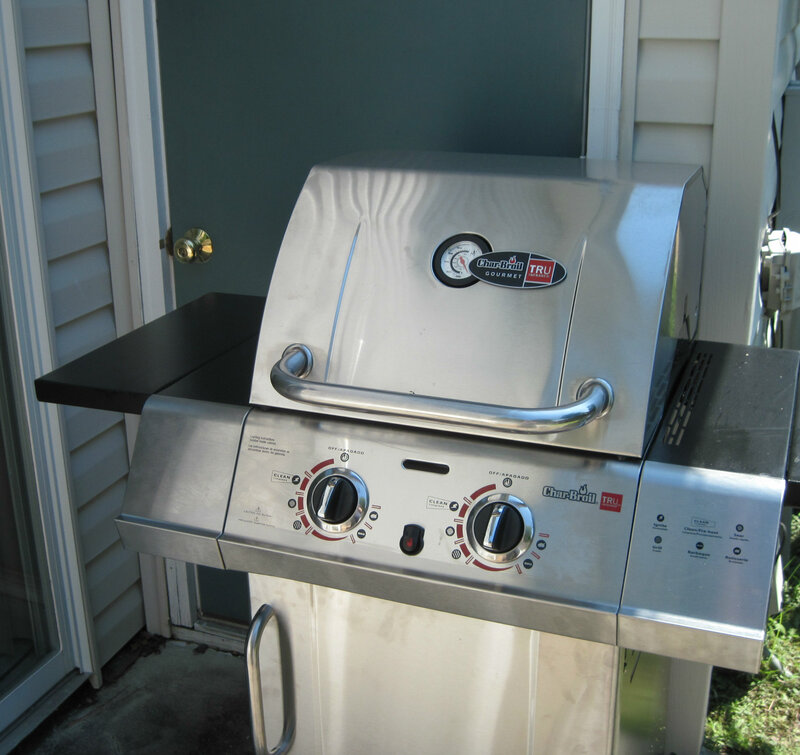 My next dilemma – how to hide the monster box, and get the grill assembled, without my husband knowing? Of course I tapped my son for this task. Dead silence from my son. Finally he said, “Okay, sure,” in a tone that told me he thought I was nuts. But kids often reply to us in that tone, don’t they? As usual, I ignored it. “How’d you know?” my son reports asking. Awwww….what a guy I married, right? But by now I felt even more stupid than I had. Happily, this story ends well. My husband is notorious in our family for guessing his gifts before he gets them. He even makes a game of it at Christmas and birthdays, watching our faces and eyes for signs of deception and subterfuge as he recites what he believes are the possibilities. Since I love surprising gift recipients, this is a cause for good-natured conflict in our home. This time I thought I’d had him though, but it turned out I was blissfully ignorant that I never even had a shot. The even better part to the story? The next day, my son and his girlfriend assembled the grill, and later that evening, we enjoyed perfectly grilled chicken for dinner! Happy un-surprise Father’s Day, honey. Wishing you many, many hours of easy-ignition, flare-free grilling! LOL, Leah! That was Awesome! And kudos to your hubby for reading your blogs, even if it DID burst your surprise bubble. What a wild and crazy trip for you. But as they say, all’s well that ends well! Enjoy many, many fine grilled meals and Happy Father’s Day to your hubby!